There's just one day left to make a tax-deductible (or other) donation in 2017. If you're doing more giving this year, would you include us among the organizations you support? Hardliners in Washington taking negative steps in areas from prosecutions to asset forfeiture to sentencing to human rights. A bloody mass killing campaign in the Philippines drug war, spreading now in the region as we feared. Even medical marijuana under threat when we thought we were past that. 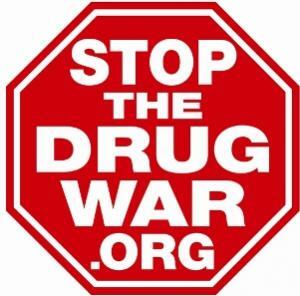 Thanks to contributions from our members, StoptheDrugWar.org has fought this fight for 24 years. 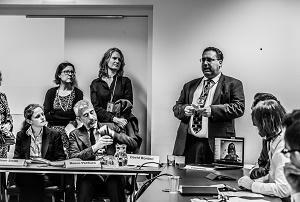 Please visit our updated About page, our expanded Reform Global Drug Policy page and our just-published Philippines page to learn about the unique role we play in drug policy. Click here for Issue 1,000 of our Drug War Chronicle newsletter, including Phil Smith's Biggest Domestic Drug Policy Stories and Biggest International Drug Policy Stories of the Past Twenty Years. The challenges we're facing today are more urgent than ever, and we need your support to meet those challenges. We need to press supportive members of Congress to stand up, and our opponents to back down. We need to spotlight the administration's actions in the media. And we need to press our case in Washington, in the states and at the UN. Will you donate to StoptheDrugWar.org today to help? We couldn't have done this without you, and we need your support to continue it in 2018. I hope you'll take a moment to renew your support or become a new member of our organization at this dangerous and critical, but still promising time in the issue.